Fresh Start Carpet Cleaning has over 20 years experience in fine rug cleaning. After you setup your appointment we will come to your home and inspect your rug and leave you with a receipt and a return promise date. Your rug or rugs will be carefully loaded in our vehicle and taken to our plant for further inspection. 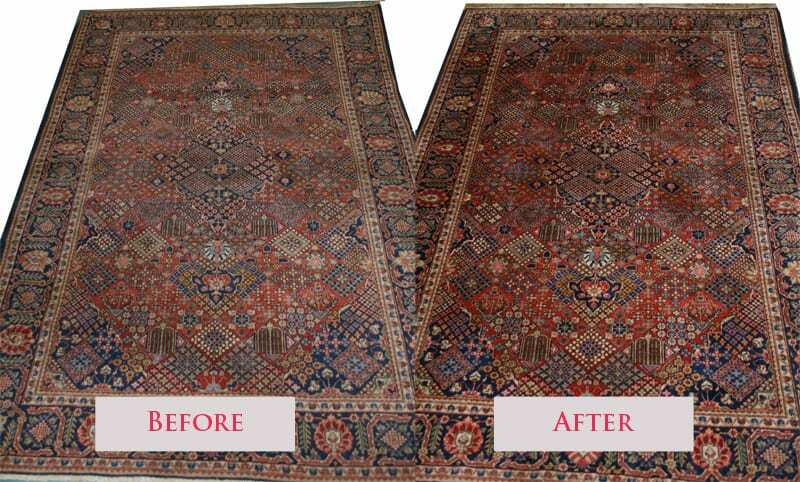 Following our initial inspection our technicians will proceed with the process that we feel best suits your particular rug. Rugs with heavy urine will soak for 24 hours to remove the urine. After this period the cleaning process begins. When the cleaning process is finished your rugs will be placed in a centrifuge to remove excess water, then hung in a specially heated room to dry. After the drying process is completed your rugs will be professionally groomed, repaired if necessary and Scotch Guard applied if desired. When the cleaning and or repair process is completed your rugs will be carefully packed in plastic and prepared for delivery. 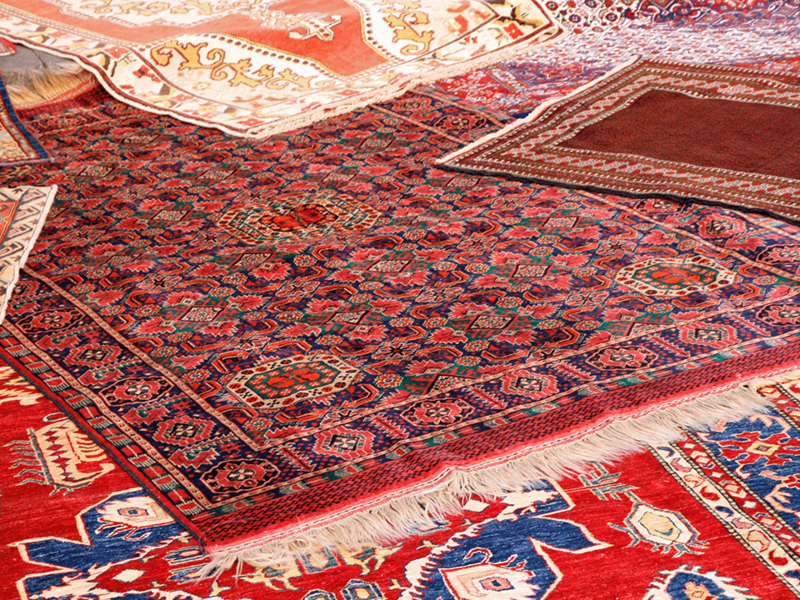 Upon delivery we will un- pack and place your rugs in the desired area of your home. Clean upholstery is paramount to a healthy home ! Fresh Start professional upholstery cleaning uses fresh steam as well as pet safe and child safe detergents to remove bacteria, pet odor, pet dander, urine and body oils from your furniture. Our deep cleaning process is fast drying usually within 3-5 hours. We specialize in pet odor removal and pet stain removal from your upholstery. Our company is veteran led and family owned. We take extreme pride in our work. Do your research before choosing any professional upholstery cleaning company. Our reputation is second to none. Our numerous 5 star reviews on Google, Yelp, Yahoo and Home Advisor attest to our excellence as well as our commitment to our customers. Remember, professional upholstery cleaning will reduce allergines in your home that can cause colds and other sickness. To give your furniture the Fresh Start that it deserves, click for a FREE ESTIMATE . Everyone Deserve’s A Fresh Start! For over 20 years Fresh Start Carpet Cleaning has been providing the Delaware Valley with superior professional carpet cleaning services. Our family owned company is Veteran led and all of our employees are family. 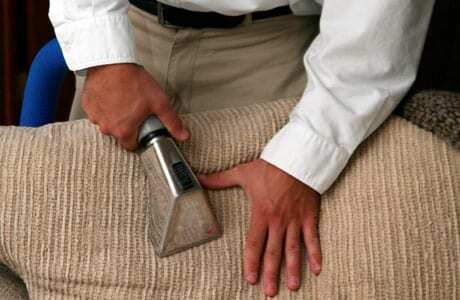 We take great care when in your home to ensure you get the best possible service on your carpets. All of our technicians are uniformed, trained, knowledgeable and polite. Fresh Start specializes in pet odor removal, pet stain removal, stain removal and Scotch Guard applications. Our deep cleaning steam cleaning process is truck-mounted. 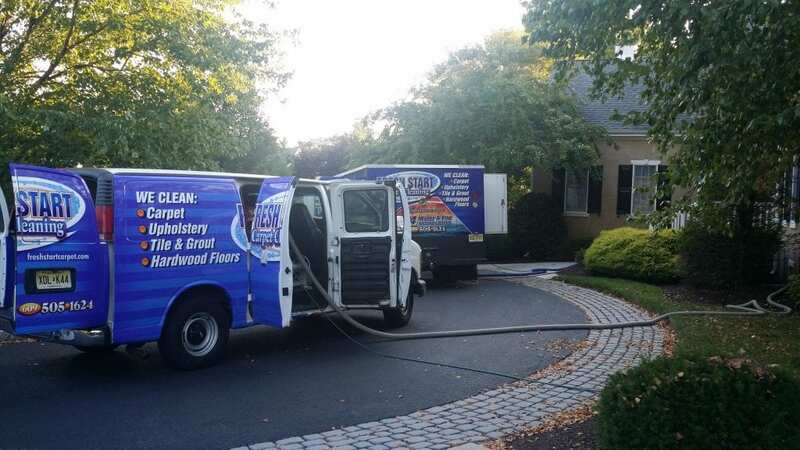 Truck-mounted carpet cleaning is the most effective carpet cleaning process on the market. Our hot water steam extraction system deep cleans at 190 degrees. The steam cleaning process removes years of pet dander, feces, bacteria, urine, gum, germs and odors from your carpets. Your carpet usually dries within 3-5 hours. We have some of the most reasonable prices on the market prices start as low as 99.00! Take advantage of our 10% OFF all services Spring Special sale. Sale ends April 5, 2019. Upholstery Cleaning at It’s Best! Fresh Start Upholstery Cleaning has been in the business of professional upholstery cleaning for over 20 years! We’re a family owned award winning company. We use state of the art truck-mounted carpet & upholstery cleaning equipment. We specialize in pet stain removal, pet odor removal, pet hair removal, human odor removal and Scotch Guard applications. Fresh Start’s cleaning process removes: bacteria, germs, airborne allergens and cat urine. After our cleaning process is completed on your furniture it’ll smell and feel fresh, the way it was when you purchased it. Fresh Start Carpet Cleaning has been in the business of professional carpet cleaning for over 20 years. We specialize in truck mounted hot water steam extraction carpet cleaning. Our deep cleaning steam process is fast drying and removes: dirt, pet odors, pet urine and bacteria from your carpet. Carpet cleaning in your home should be performed at least every 6 months especially if you have a pet in the home. Bi-annual carpet cleaning reduces allergens and airborne bacteria that may cause colds and other respiratory problems. Fresh Start also specializes in Scotch Guard applications. 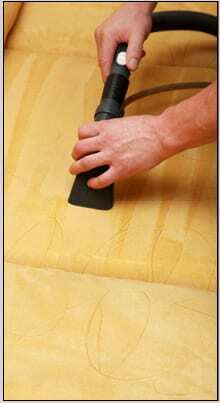 Scotch Guard is a protector that is applied to your carpet immediately after it is professionally cleaned. This product helps repel dirt and liquid spills from penetrating into your carpets fibers and causing permanent damage to your rugs. Fresh Start is a family owned and operated truck-mounted steam cleaning operation. Our cleaning process removes dirt, bacteria, gum, urine, feces, pet hair, pet stains and pet dander from your carpet. Our deep penetrating steam kills bacteria and sanitizes carpet fibers leaving your carpet clean and fresh to the touch. Our fast drying process dries usually within 3-5 hours. When it comes to professional cleaning Fresh Start Carpet Cleaning is South Jersey and Philadelphia’s #1 rated choice! Our technicians are well trained, polite an uniformed. We are fully insured for commercial and residential work. We also specialize in pet odor and Scotch Guard applications. Fresh Start Carpet Cleaning professionally cleans carpet using truck mounted carpet steam cleaning equipment. Our deep cleaning process is fast drying usually within 3-5 hours and removes pet odor, pet stains, urine, pet dander, germs and bacteria from all types of carpet. When our steam cleaning process is completed your carpet will be soft and clean and smell fresh. Fresh Start Carpet Cleaning also specializes in Scotch Guard applications and pet odor treatments. Scotch Guard protects your carpet from damage. Our pet odor treatment will neutralize pet urine and other strong odors that may be in your carpet. 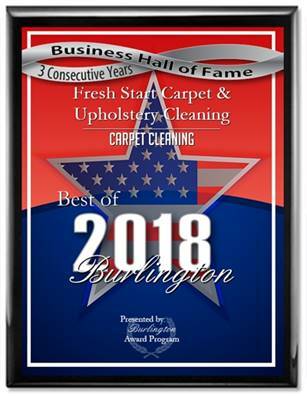 Fresh Start Carpet Cleaning is a family owned and operated Commercial and residential carpet cleaning company that has been in business for over 19 years. We have locations in Cherry Hill, Willingboro, Burlington NJ and Blackwood. We also serve lower Bucks County PA and Philadelphia. Fresh Start Upholstery Cleaning cleans your upholstery using steam plus pet and child safe detergents that emulsify dirt, germs and bacteria! Our deep cleaning process removes pet odor, pet stains and pet dander leaving your upholstery clean and fresh to the touch. Our cleaning process is fast drying usually between 3-5 hours. Without regular cleaning, your carpet’s can house dust, dirt, allergens, bacteria, grime, and everything else that catches a ride into your home on the bottom of your shoes. To breathe easier throughout the New Year, while maintaining your carpet investment, here are the Top 10 Carpet Cleaning Secrets from the Pros. Always blot, never rub! Always dab stains with a cleaning solution and a clean cloth, paper towel, or sponge; rubbing stains damages carpet fibers. Blotting uses light pressure to soak up stains and be sure to blot from the outside of the stain inward to avoid spreading it. Club soda works from beer to wine stains. Apply club soda to a clean cloth and blot the spot until gone. If that doesn’t work, mix 1-part white vinegar and 1-part water in a spray bottle, spray it on the stain, and let it sit for 10 to 15 minutes. Then press a clean sponge onto the area to soak up the solution and stain; repeat as needed. When the stain’s gone, rinse with warm water, and use your hand to brush the carpet strands into their natural direction. Finally, lay white paper towels over the area, and weigh them down with something heavy, like a phone book to absorb the dampness for about a day until the carpet dries. Shaving cream removes nearly any stain. Apply shaving cream to the stain, let it sit for 30 minutes, blot with a dry white cloth, then spray the area with 1-part vinegar mixed with 1-part water, and wipe the solution and stain away with a cloth. Ice cubes and gum. Grab ice cubes to freeze the gum for about 30 seconds. 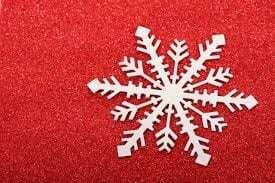 When frozen solid, use a spoon to lift it, then cut the carpet strands as close to the gum as possible; cutting a small amount shouldn’t be noticeable. Dishwashing detergent and grease. Add a drop or 2 of grease-fighting dish detergent to a cup of water in a spray bottle, spray the stain, and blot; repeat as needed. Heating candle wax away. Place a white cloth over your iron, put the iron on the wax to warm it, then scrape off the wax with a butter knife. After that, lay a paper towel on the area, and iron it, so the remaining wax can bind to the paper; repeat as needed. Please note: only iron for 30-second increments to avoid burning the carpet, and only use white cloths or paper towels to avoid color transfer. Hydrogen peroxide for blood stains. First, loosen dried blood with water mixed with a mild detergent, and scrape off as much as you can. Apply hydrogen peroxide directly to the stain – which will immediately foam – dab the hydrogen peroxide with towels to remove the stain and dry the carpet. Organic pet odor and stain removal. Saturate the pet stain with white vinegar, without leaving it soggy. Generously sprinkle baking soda over the soaked stain, wait for 1 to 2 days for the vinegar to dry, scoop up the remaining baking soda, and vacuum to leave your carpet fresh and clean without scrubbing. Crushed candy. Scrape with a butter knife, then use a sponge to apply water mixed with a mild soap to remove all the sugar, then blot dry with a cloth or towel. Invest in 2 steam cleanings a year. Professionally cleaning your carpet keeps it looking fresh and new. Steam cleaning uses a solution under pressure injected deep into the carpet to the backing, that’s then extracted, along with all dirt and debris. The water and steam penetrate carpet fibers, loosening embedded soil, and removing oil and grease deposits. For professional carpet cleaners in New Jersey, Contact Us at (609) 479-4622. Fresh Start Carpet Cleaning provides Cleaning Services for carpet cleaning, upholstery, tile, grout, hardwood floor, and fine rug cleaning! 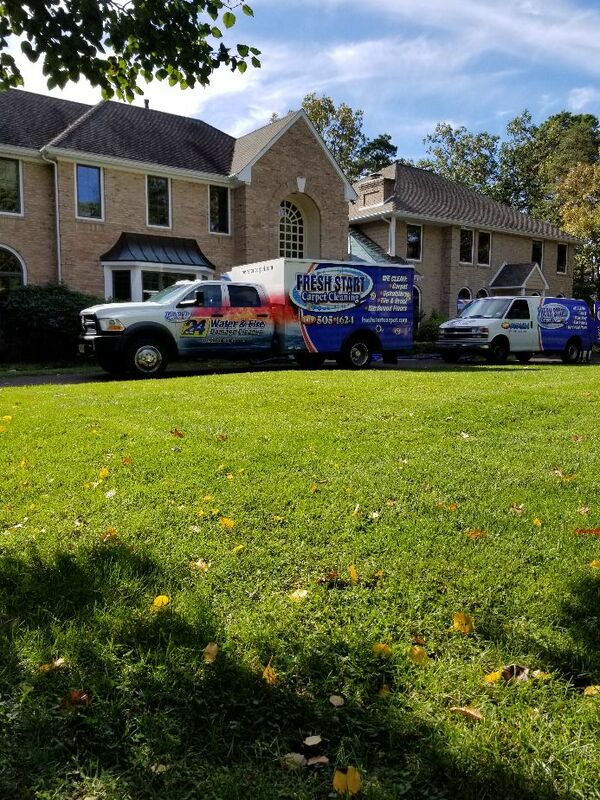 Serving Cherry Hill, Burlington, Willingboro, Blackwood, and Buck’s County – give us a call for a Free Estimate, and read our Reviews at FreshStartCarpet.com to learn more about what we can do for you year-round.